Introduction and overview of the DTO Annual Report 2015-16. What a busy and exciting year. 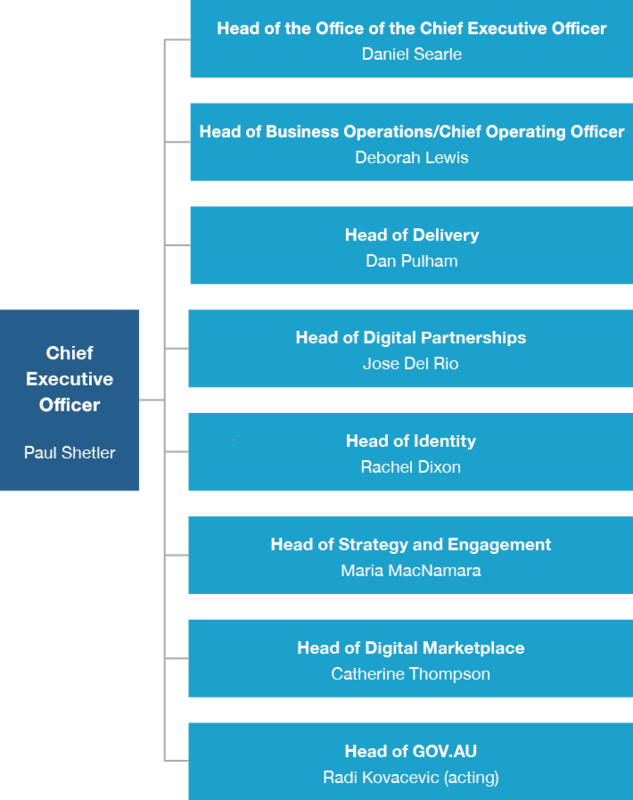 The Digital Transformation Office (DTO) became an executive agency in July 2015, and I was appointed as its Chief Executive Officer that same month. Initially part of the Communications portfolio, the DTO was moved to the Prime Minister and Cabinet portfolio in September 2015. I would like to thank my predecessor, Interim Chief Executive Officer David Hazlehurst, for his excellent work in overseeing the transformation of the DTO from a taskforce to an executive agency. The DTO was created with a clear mission: to help deliver simpler, clearer and faster public services, making it easy to work with government. We believe that government agencies should use lean and agile ways of working to develop end-user-facing services. We released the alpha version of the Digital Service Standard in July 2015. The standard provides the criteria that all new and reformed government services must meet to deliver on the promise of ‘simple, clear and fast’. With the release of the final version of the standard in May 2016, we established both criteria and a process for ensuring that services are being built right. The standard is now being tested beyond the Commonwealth, with the South Australian Government and the City of Melbourne seeing how it can help their agencies to deliver services better. During 2015–16, the DTO hosted five digital transformation exemplar programs in its Canberra and Sydney delivery hubs. People from the departments of Industry, Innovation and Science, Immigration and Border Protection, and Human Services and people from the Australian Capital Territory Department of Health worked with DTO specialists to research, design, build and deploy new services. The digital exemplars are a great example of cooperation between the DTO and other agencies to improve existing products for the benefit of users. I am keen to see the communities that we have built across the Australian Public Service in service design and content continue to grow and learn. We also began work on some of the bigger pieces of infrastructure that will be required to deliver real transformation of government service delivery. In 2015–16, we released alpha versions of our vision of a single domain for government information and services, GOV.AU, and the Performance Dashboard for government services. We also deployed a cloud hosting platform, cloud.gov.au, and completed research for a digital authentication and verification solution and the Digital Marketplace. In April 2016, the DTO welcomed Liam Maxwell from the United Kingdom’s Government Digital Service, who made a short visit to sign a memorandum of understanding which encourages the exchange of ideas and learning between our organisations. Capping off our efforts in 2015–16 was the work required to establish the organisation that enabled all of these things. By the end of the financial year, the DTO had over a hundred people, employees and contractors, working in Canberra and Sydney. While the delivery of the exemplars and platforms attracted the most attention from the outside world, I cannot stress enough the hard work and good spirit exhibited by all members of the DTO in building a well-functioning organisation that can work in an agile and lean manner and adhere to the values and standards of behaviour expected of public servants. For the next financial year, the DTO’s focus will shift from demonstrating the benefits of delivering simpler, clearer and faster public services to helping deliver the infrastructure necessary to industrialise this transformation of services. In 2016–17, the DTO will deliver a working beta version of the Digital Marketplace and an alpha prototype and framework of a digital verification and authentication solution, and continue to work with agencies to enable them to deliver services that meet the Digital Service Standard. Australia has the opportunity to become a world leader in the provision of digital government. The DTO is the agency which can help government and agencies make this transformation. I would like to thank all the staff of the DTO for their dedication and the enthusiasm that they bring to their work; with their backing, I am confident that we can fulfil our mission. Agile methodologies are at the heart of the DTO’s service delivery. This is an approach to software development that allows digital teams to respond to unpredictability through staged and iterative platform development. Solutions are found on the go, through collaborative effort and user feedback. This approach enables teams to start small and learn fast. Critically, it reduces the risk of service failure. Discovery: This stage involves mapping the broader service landscape, researching the real needs and problems faced by users, and understanding the policy intent and technology constraints. Alpha: During alpha, the team tests out a hypothesis by building prototypes in code, exploring different ways to meet the needs of users. User research is conducted to learn which of the approaches works best, and the solution continues to be iterated as more is learned. Beta: Using the successful prototype from stage 2, a Minimum Viable Product is built as an accessible and secure service. Members of the public trial the beta version alongside the existing service, and their feedback is used to improve the service. Live: The team and processes are put in place to continue operating and improving the service. Old services are phased out, and existing non-digital channels are consolidated. Each stage of the process is strategically crafted to ensure feasibility and system capacity. The system is designed to allow users to engage in the process to give greater transparency to government processes and service provision. To date, this staged approach has enabled the DTO to successfully map out issues pertaining to service delivery and to continue to develop the infrastructure required to assist government agencies and services as they undergo transformation. In October 2015, a DTO team was given a project with an ambitious target: develop an alpha prototype of GOV.AU in just nine weeks. This was the DTO’s opportunity to test a central hypothesis: that it is possible to design an approach to presenting government information and services based around the needs of the user, rather than the way government is structured. The first step involved co-locating a team in Sydney. While the team possessed a range of skill sets, including user research, service design, interaction design and product management and development, working in an agile, multidisciplinary way was essential to the project’s success. This was especially the case when it came to user research, which started on day four of the project. Having the entire team involved in user research helped to make sure that everyone had a level of intelligence around what the real user needs were, and built empathy. The team met with a range of users, including people from culturally diverse backgrounds and people with different accessibility needs and different levels of technical literacy. This ensured that the design worked for the widest possible audience. A common theme soon emerged: people who embark on engaging with government do not know when they have found all the relevant information and done all the things they need to do. There was a real need to bring all the information into one place so that people could be satisfied that they had everything they needed to be compliant or to access what they were entitled to. Four weeks into the project, the team identified two particular user experiences upon which they could build the alpha version: coming to Australia to work, and starting a business. The team started to develop a prototype which explored a pattern that allows users to explain their circumstances and then be presented with relevant content and information in a way that helps them to create a mental model of what is involved. The alpha version was delivered on schedule and passed an assessment against the Digital Service Standard. The project demonstrated that it is possible to come up with a reasonably simple model for a more efficient and consistent way of organising content, and to help solve a lot of users’ problems in the process. After considering the United Kingdom’s Government Digital Service Standard assessment model, the DTO moved to a new ‘in-flight’ model of assessment. Assessors now work with the departmental transformation team throughout the assessment process, usually meeting on a weekly basis, to remove the burden of preparing for an assessment. This allows the assessors to work more collaboratively with the team, so that rather than getting to the end of a 10-week process before they see the product the team members can follow the shaping and the thinking as it happens. Under the new in-flight model, each week the assessors rate parts of the project as either green, amber or red, depending on whether they are on track to deliver. This has seen incredibly effective work take place where the team and the assessors agree on the rating. The team members can talk about the gaps and what they need to do to get help and move forward. This model helps teams to address issues before it is too late. For example, sometimes in the early stages teams are not fully multidisciplinary. If this were not addressed until the end of the alpha stage, the team would have to wait for recruitment processes to be completed before it could move on to beta. However, if the issue gets an amber or red light early on, it does not have to stop the project in its tracks and things can keep going while the issue is being addressed. Although a red light might look alarming for a team, it is actually an important tool to support a team and reduce the risk in a project. It can help the team members to go to their service manager or their stakeholders and say, ‘Look, unless we address this problem we are at risk of not delivering’. It enables teams to have much earlier and more sensible conversations to actually mitigate the risk, rather than getting to the end and saying, ‘Oh no, it’s not right, let’s go back to the drawing board’. The new in-flight model means that digital teams and assessors are better able to focus on the common goal of designing and delivering. The relationship between the assessors and the teams is now one of mentoring and influencing. This assists the assessors to help get the product on the right track, and reinforces the team members’ confidence that they are doing the right thing. This annual report covers the performance, accountability and financial reporting of the Digital Transformation Office (DTO) for the financial year ending on 30 June 2016. The report was drafted in line with the Public Governance, Performance and Accountability Rule 2014 and the Department of Finance Resource Management Guide No. 135: Annual reports for non-corporate Commonwealth entities, July 2016. The ‘Overview’ section in this part of the report includes a description of the DTO’s role, structure, and outcome and program framework. In Part 2, Report on program performance, the DTO provides its annual performance statements for 2015–16, including a report of its results against portfolio performance measures. Portfolio performance measures were first published for the DTO in the Communications Portfolio Budget Statements 2015–16. When the DTO was transferred to the Prime Minister and Cabinet portfolio, by amendment of the Administrative Arrangements Order on 21 September 2015, the program objective was changed and one deliverable, relating to streamlining grants administration, was deleted. Responsibility for streamlining grants administration was transferred to the Department of Finance and will be covered in that department’s annual report. The report on the management and accountability of the DTO in 2015–16, along with other information required by legislation, is covered in Part 3, Report on organisational performance. A summary of the DTO’s financial performance is provided in Part 2, while the audited financial statements for 2015–16 are provided in Part 4. The DTO was established to assist in designing a more user-friendly government. We are creating unified digital platforms that will make it easier for all Australians to access the government services and information they need, and leading a user-focused, whole-of-government approach to digital transformation that will make public services simpler, clearer and faster for all. The role of the DTO is to design the system and governance for this change process in collaboration with our partners: it is not to own services or content. We facilitate collaboration and a whole-of-government approach while digital transformation takes place within the entities that provide government services and information. At the heart of our values are the values of the Australian Public Service (APS) and a desire to transform government services to ensure that all users’ experiences are made simpler, clearer and faster. We encourage innovation by providing a nurturing and supportive environment. promoting a culture of collaboration through robust and lively debate with internal and external stakeholders. The DTO was established as an executive agency under the Public Service Act 1999 on 1 July 2015. It is a non-corporate Commonwealth entity subject to the Public Governance, Performance and Accountability Act 2013 (PGPA Act). The DTO resides in the Prime Minister and Cabinet portfolio. The minister responsible for the DTO is the Prime Minister, the Hon Malcolm Turnbull MP, assisted by the Assistant Minister for Cities and Digital Transformation, the Hon Angus Taylor MP. The DTO does not administer any legislation. The structure of the agency at 30 June 2016 is shown in Figure 1. Read the full text version of Figure 1 the DTO organisational structure. Paul was appointed as the inaugural Chief Executive Officer (CEO) of the DTO in July 2015. Hailing from the United Kingdom, the technologist and entrepreneur has 20 years of international experience working in financial and digital services, including the role of Chief Digital Officer of the United Kingdom Ministry of Justice from 2014 to 2015. Bringing to the table extensive knowledge of managing start­ups and corporate ventures, he is now tasked with making government services simpler, clearer, faster and more humane. Before Paul took up his appointment, David Hazlehurst acted as the Interim CEO of the DTO. David subsequently moved to a deputy secretary position at the Department of Industry, Innovation and Science. 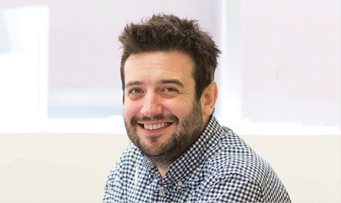 Prior to joining the DTO, Daniel was a digital director at Kainos and the Deputy Group Chief Digital Officer at the United Kingdom’s Ministry of Justice. 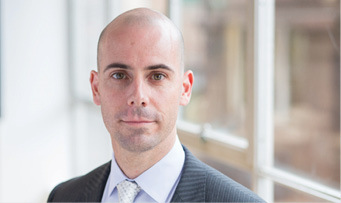 Daniel holds an Executive MBA from Cass Business School. His previous roles include: Identity Advisor to GOV.UK Verify; Strategy and Delivery Advisor to the United Kingdom’s Home Secretary; and Private Secretary to the UK Border Agency Chief Executive. He has also held senior roles in asylum and immigration enforcement operations. Deborah is responsible for the financial operations of the DTO, including risk, compliance, human resources, procurement, IT and support for the CEO. Deborah has a strong public sector background, having led divisions with hundreds of staff to embed significant culture and business change agendas. 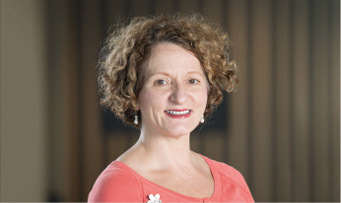 She has held positions across service delivery, policy and program, and corporate functions, in entities such as Austrade and the departments of Immigration; Climate Change and Energy Efficiency; and Resources, Energy and Tourism. 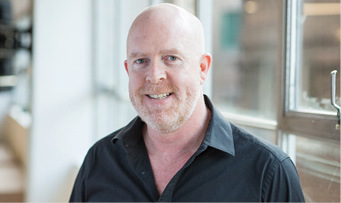 Dan joined the DTO in April 2016 having previously spent nine years at Telstra, the last five of those as a founding member of Telstra Digital. During his time at Telstra Digital, Dan led a transformation program to rebuild Telstra’s MyAccount, delivered the Consumer Identity platform, and ran the portfolio process which managed change into Telstra’s MyAccount, E-Commerce, 24/7 and Identity platforms. Jose started the taskforce that led to the creation of the DTO. He has held a number of senior strategic and social policy roles at the Department of the Prime Minister and Cabinet. 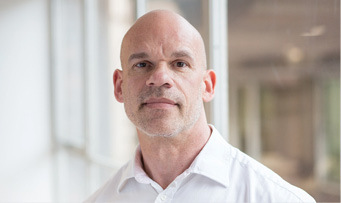 He has also led immigration processing, program and policy teams at the Department of Immigration and Border Protection and at Citizenship and Immigration Canada. Rachel’s professional background encompasses IT and telecommunications, and film, television and new media production. Rachel has held executive positions at Suncorp, Viocorp, thePlatform for Media, and Massive Interactive. 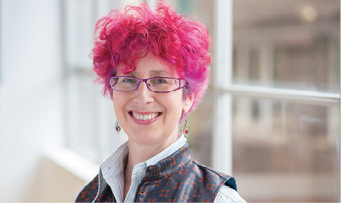 She has also been a director of the Australian Centre for Advanced Computing and Communications, Choice (the Australian Consumers Association) and several small software companies. She co­founded FIBRE, a telecommunications company servicing the motion picture post-production and visual effects industry. 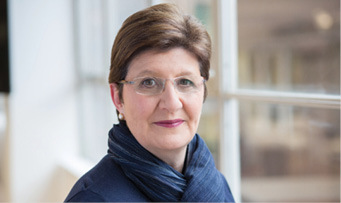 She is a past director and chair of several other media, software and telecommunications companies, and a former senior executive with Film Australia and Film Victoria. Prior to joining the DTO, Maria was responsible for marketing and business development at Swaab Attorneys. Maria also established a professional services start-up, after leading marketing and business development teams in Australia’s foremost legal and consulting firms. She co-founded the Awesome Women’s Project and the Ecosystem Leaders’ Lunch, and sits on the advisory boards delivering the Women in Fintech initiative at Stone & Chalk and The Spark Festival, Sydney. Catherine is interested in enterprise cost-efficiency, operations and the procurement/supply chain, with a particular focus on the cultural change that supports innovation in those fields. Her experience has been deepened in senior leadership and consulting roles across the financial services, transport, petrochemicals, retail and health services sectors. She particularly enjoys start-ups and remediations. 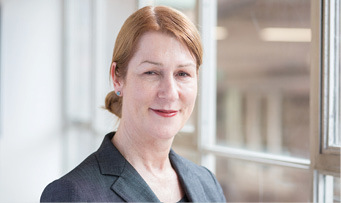 Most recently Head of Delivery for pioneering virtual reality start-up Zero Latency, Catherine has also been the Chief Procurement Officer of ANZ Banking Group and a director of Portland Group (now Infosys Portland). She writes for Procurement Leaders on issues at the nexus of technology, innovation and the supply chain. 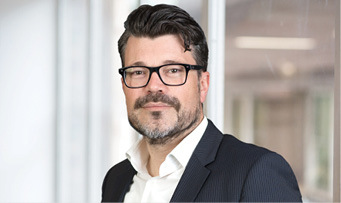 In his previous role, Radi was the Chief Information Officer for the Department of the Prime Minister and Cabinet, with responsibility for all digital services. Radi has a strong background in digital delivery for large programs, including the 2014 G20 summit in Brisbane, and large machinery of government changes. In the Department of Climate Change and Energy Efficiency, Radi assisted with the remediation program for the Home Insulation Program and led the digital delivery for energy efficiency programs such as National Solar Schools.